Martin who hosts TV One’s “News One Now” has already signed up a team of writers and national influencers to contribute to the site. 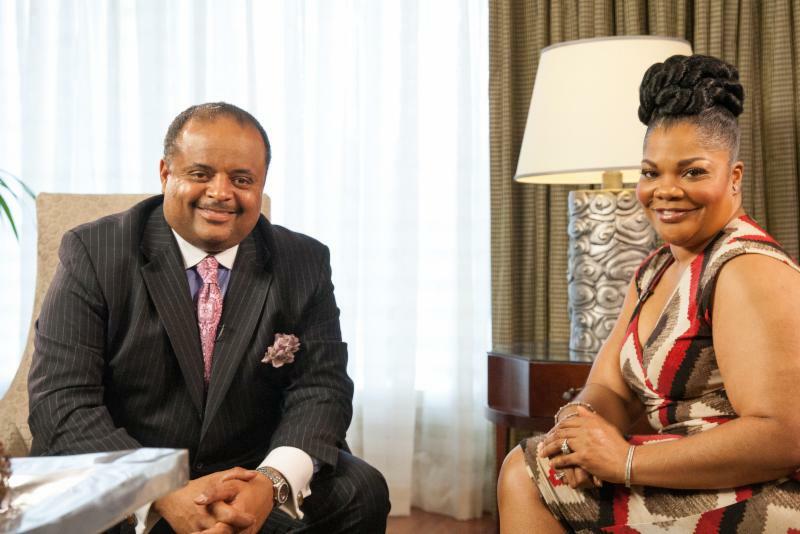 TV Host, Journalist and Author Roland Martin has launched a lifestyle and information website called AllThat.TV. The site will be a daily digital destination for national news, pop culture, politics, lifestyle features, health and wellness, cooking segments, faith-based content and a weekly motivational series. It will also feature both live video streams and produced video content, most of which will be produced by Martin’s own production company, Nu Vision Media. “My interests go far beyond news and politics,” says Roland Martin. “My social media followers know I love music, dancing, good, clothes and all sorts of other things, so I wanted a place dedicated to exploring those subjects. With AllThat.TV, I’ll be able to stretch my wings and do some creative things. I can’t wait for folks to see what we have in store! This new online portal is being launched in partnership with the digital development company Quantasy. Martin has already signed up a team of writers and national influencers to contribute to the site. Martin is no stranger to digital media. As executive editor of the Chicago Defender, he was the first Black news source to launch an audio podcast in 2005; and launched the first Black video podcast by a Black media entity in 2006. Additionally, as founding editor, he helped launch and was instrumental in the initial success of BlackAmericaWeb.com and has maintained his own high-traffic websiteRolandSMartin.com for many years. Additionally, with a combined social media base of more than 1.7 million unique followers, the host of TV One’s “News One Now with Roland Martin” remains a force in the social engagement space and continues making impressions with his every move. Martin is the host of TV One’s “News One Now” and the Senior News Analyst on the nationally syndicated Tom Joyner Morning Show.